Once a year, the biggest day in retail shopping meets everyone’s fave beauty behemoth, creating equal parts magic and mayhem. And when Sephora’s Black Friday 2018 starts, we want you to be ready. Because just like the 2010 blockbuster movie “Inception,” there are levels to this thing. Whether you’re shopping online or in store will affect your game plan, because some of the sales are web-only. And while you may believe the savings start at the crack of dawn on Friday, Nov. 23, guess again. The brand’s signature Black Friday blueprint dictates an even earlier start date. A week ahead of the main event, Sephora will tantalize shoppers with an exclusive Black Friday preview through the Sephora app. According to the brand’s website, the app sneak peek will graciously commence on Nov. 15, providing us with ample time to strategize before the holiday week begins. 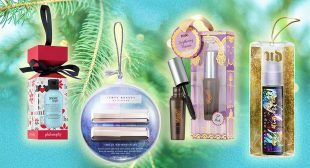 If you’re hungry for new drops, holiday gifts or beauty ornaments, Sephora has been benevolent enough to reveal some seasonal merch within three different buckets: under $15, under $25 and under $50. And if those offerings, which include Fresh’s Destination Sugar Lip Balm Trio ($25; sephora.com) are any indication, this year’s limited-edition sets are going to sell at lightning speed. In order to snag the best deals, familiarize yourself with Sephora’s traditional timeline and operations leading up to Black Friday. To whet your palette palate, Sephora divulges some—but not all—of its most stellar Black Friday discounts on the brand’s app. In the off-chance you spend a hefty amount of money at Sephora (*raises hand*), your habit will likely pay off. Sephora Beauty Insider VIB and VIB Rouge members are often granted permission to peruse online sales ahead of regular shoppers. Check out Sephora’s Black Friday headquarters on Nov. 21 for information on when sale access will begin if you fall into either category. It will likely be granted before the masses—and every minute counts when you’re copping discounted Fenty Beauty. You may want to prioritize your wish list between bites of fireball pumpkin pie, because Sephora’s Black Friday sale historically begins on Thanksgiving Day. For those who want to swatch and swipe while they shop, Sephora stores typically open at 6 p.m. and close at 12 a.m. However, store hours can differ from location to location, so your best bet is to call your local Sephora to confirm. Online shopping will heat up on Thanksgiving Day as well, but only for the West Coast. In past years, Sephora’s Black Friday online access began at midnight EST, or 9 p.m. PST. Since many of the best discounts and buzziest brands sell out quickly, it’s definitely worth staying up or setting an alarm if you’re on East or Central time. Whether you’ve mapped out a masterful strategy or not, Sephora’s crowd-inducing sale will be in full swing. On Black Friday, Sephora usually opens at 6 a.m. to accommodate the early crowd and remains open until 9 p.m. Again, since location hours vary, it’s prudent to call your store and confirm hours before showing up before sunrise. Otherwise, if you’ve followed this guide, you’re in prime position to walk out with your preferred beauty spoils.